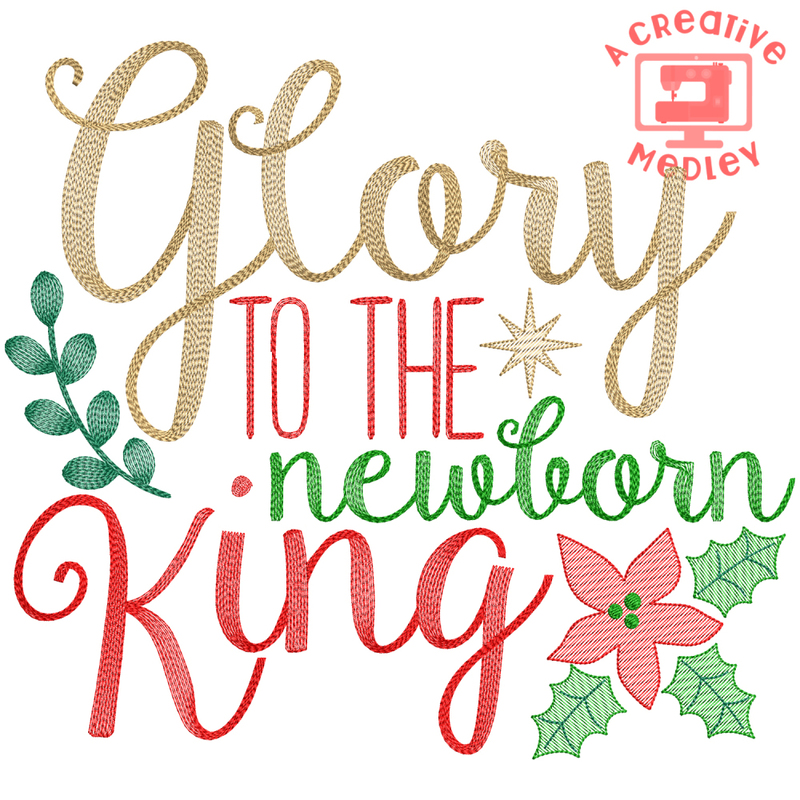 Glory to the Newborn King Sketch - 6 Sizes! Sketch designs are designed to stitch quickly and fill lightly - Perfect for pillows, towels, t-shirts or anywhere you want a light and airy decoration. Finish Size 3.86" x 3.51"
Finish Size 5.55" x 5.04"
Finish Size 6.60" x 6.00"
Finish Size 7.70" x 7.00"
Finish Size 8.53" x 7.76"
Finish Size 9.37" x 10.31"